Herbicide resistance threatens our ability to produce crops economically. 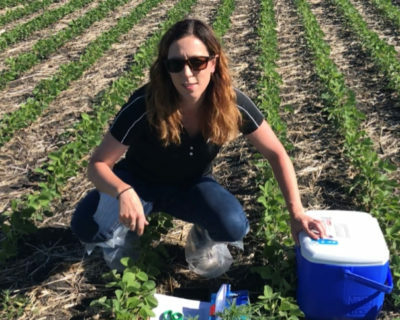 Prevention is no longer the option, with at least six herbicide resistant species being confirmed in Manitoba, and those weeds are spreading rapidly. For instance, glyphosate resistant kochia was only confirmed in Manitoba in 2013 at two locations but since that time has been confirmed in at least nine municipalities. We need to effectively manage the herbicide resistant weeds we have, in order to be ready for the weeds that are likely to cross our borders in the next decade. This talk will look at strategies to manage herbicide resistant weeds, especially newer tactics like herbicide layering, the role herbicide tolerant crops can play, and how non-herbicide control options are important to the long-term strategy.